Do you work? Are you retired? How do you afford to do this? This is probably the question we get asked most often by people who don’t know us. People who know us know that Brent worked very hard for many years to grow his business but others wonder if we have retired early. Yes, Brent works. He runs Nims Media and does web/graphic design, video editing, social media set up/integration, and all things related to looking good on the internet. Before you move on to the next question, I’d like to say if living on the road full time and having adventures with your family is a dream of yours but you don’t currently have a mobile job don’t give up! We’ve met so many different families on the road who have all found different ways to make it happen. 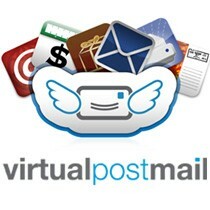 We use a service called Virtual Post Mail. They receive our mail and send scans of the envelopes via email. We tell them to “trash it”, “open it”, or “hold it”. Periodically they will send a large envelope of mail to us. They also deposit checks for us. How many states have you visited? Do you plan to visit all 50? We homeschool/roadschool. In other words we have a schedule each week that covers the major subjects but we also do lots of our learning through traveling. The boys each have almost 70 Jr. Ranger badges from National Parks and we visit lots of museums or historical sites. We travel in a 2006 Cedar Creek Silverback bunkhouse 5th wheel. We debated for months on what sort of RV to buy. I really wanted to buy a vintage bus but Brent took one look underneath and said, “No.” 😉 We also considered an Airstream which would have been very cool but also very cramped and a large Class A (diesel pusher/motorhome). After a (almost) year and a half of travel we are very happy we went with the 5th wheel. We love the space and maintenance on a truck is less expensive than a motorhome. The only time we wish we had a motorhome is when we are driving late at night. What is the hardest part of traveling full time? The hardest part are the unknowns. Brent works freelance so we don’t have a set income and that can be stressful at times. As you might imagine, the RV can feel really small with four people, 2 dogs, a cat, and a turtle but we love it. I wrote this post on our “one year roadiversary”. It really sums up how we feel about traveling in an RV full time. It all depends. The great thing about traveling full time in an RV is that you can adjust your expenses rather easily. The biggest expense variable is fuel. If things are tight that month we drive less. In 2012, we spent an average of $650 a month on gas. It also depends on where we camp, how much we eat out, what part of the country we are in, and what sights we see. Camping fees can range from free to $80+ a night in some places. So you can see how we have a lot more control of our expenses than when we had mortgage/rent, electricity, gas, sewer/water, and trash bills every month. What do you do about internet? As a web guy, Brent has to have internet. We have a Millenicom 3G card on the Verizon network (see their 3G/4G Hotspot plan) that gets us 20gb of data each month. He can also tether to his phone when necessary, which is on AT&T. Many of the campgrounds also have Wi-fi. What about laundry and dumping? Cleanliness is overrated. 😉 Most of the campgrounds have laundry. We thought about getting a little RV washer/dryer combo but with two boys we would be doing laundry 24/7 so it’s more efficient to do it all at once at the laundry mat. Dumping is never fun but it’s a part of traveling in an RV. Brent has gotten used to it. I’ve made it a personal goal to not have to dump the tanks once on this trip. Call it sexist if you will but I’m not above using my femininity to get out of certain tasks especially if it involves tanks of raw sewage. What are YOU going to do about food? This is something my friends asked me all the time before we hit the road because they knew I was a little food obsessed. Back home we belonged to a CSA (community sustained agriculture group), raw milk group, bought a 1/2 of cow, and shopped at the local health food store and/or Trader Joe’s. On the road it’s different. It took us some time to adjust but we try to find farmers markets wherever we are using Local Harvest. It’s a great way to get a taste of local culture. We also stock up at Trader Joe’s when we can. We’ve found some great local health food stores along the way. If Walmart is the only option we shop at Walmart. There are many other companies delivering mail forwarding services in USA, Change The Postal Address (CTPA) is one of them, and I am using their services from almost 2 years. It is advised to readers that they must check this source out. Your family’s adventure is very inspiring. I can only hope my company https://nextride.com can someday allow me the freedom to travel like yours has!